Kevin Harvick started second and finished first, scoring 10 bonus points and a playoff point. The No. 4 Busch Light Ford took the lead on the first lap. Harvick held the lead until coming to pit road for a green-flag pit stop on lap 44. The No. 4 Busch Light Ford reclaimed the lead on lap 56 and held it for the remainder of the stage. Harvick came to pit road for four tires and fuel at the end of the stage, but he came off pit road in the second position. 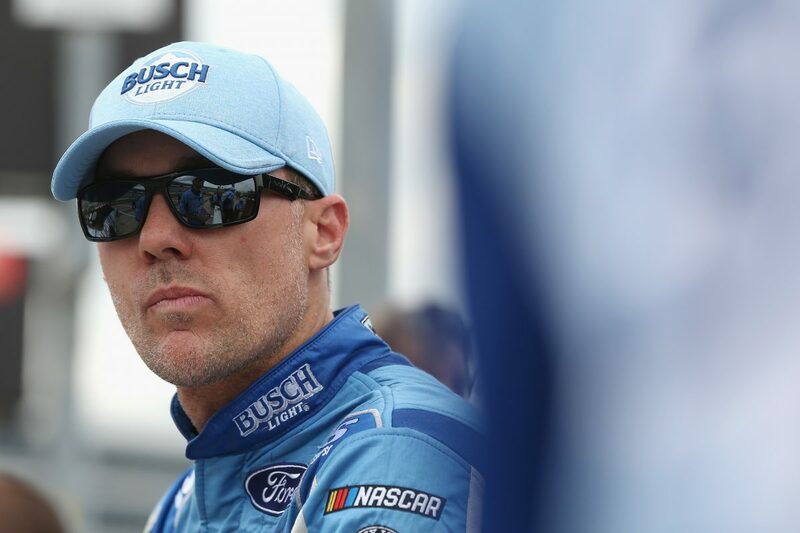 Harvick passed Kyle Busch for the lead on lap 118. The No. 4 Ford came to pit road under caution for four tires and fuel, but a lug nut got lodged in the jack and slowed the stop. Harvick restarted ninth and immediately reported a loose wheel, which caused the team to make an unscheduled pit stop under green. The No. 4 Ford fell to the 22ndposition, one lap down to the leaders, following the unscheduled stop. Harvick battled back to finish 15thby the end of the stage but fell one spot short of the free-pass position. The Busch Light Ford came to pit road for four tires and fuel at the conclusion of the stage. Started 14th and finished second. The Busch Light Ford restarted 14th, but a quick caution at the start of the final stage allowed Harvick to advance to 12th. The No. 4 car returned to the lead lap on lap 235 after a caution flag flew before his scheduled pit stop. Harvick came to pit road under the caution from the second position for four tires and fuel on lap 237. The No. 4 came to pit road for fresh tires and fuel under caution on lap 252. Harvick restarted 10thon lap 255 and raced into the top-five by lap 270. The Busch Light Ford restarted second with 25 laps remaining and battled for the win in the closing laps. This was Harvick’s fifth top-five finish of 2018. Harvick earned his ninth top-five and 19thtop-10 in 31 career Monster Energy NASCAR Cup Series starts at Texas. Harvick won Stage 1 to earn 10 bonus points and one playoff point. Harvick led three times during the race for 87 laps and has now led 318 laps at Texas.